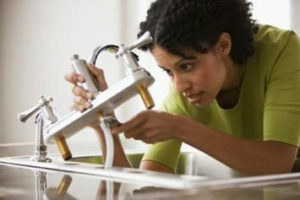 1 Do you know how to fix a leaky kitchen faucet? No matter how expensive and technologically advanced your faucet is, it might start leaking at some point. High-quality faucets tend to leak less than low-quality ones, but that doesn’t mean they’re invulnerable. Sometimes, a faucet might start leaking since you finish installing it, and that might be your fault. Do you know how to fix a leaky kitchen faucet? In the following article, we explain how to fix your leaky faucet in a step-by-step guide, so you will be able to repair any unit in simple and easy-to-follow steps. The first thing you should do is to determine the cause of the leak. A faucet that drips from the end of the spout will require a different repair than one that leaks around its base. Each type of faucet works in a specific way, and it has different components than other types. You will need to determine the faucet’s type before proceeding with the repairs. To find out what type of faucet you have, you will need to remove the handle. Compression Faucet – These faucets have two handles, so you can easily determine its type. Ceramic Disk Faucet – This faucet contains a ceramic cylinder under the handle. Cartridge Faucet – This faucet contains a cartridge under the handle. 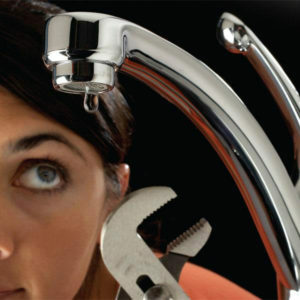 Compression faucets are easy to repair, and usually, their spare parts are cheap. Here’s how you do it. Inspect the O-ring and the washer – keep in mind that the O-ring is thinner than the washer, and the washer is usually made out of rubber. If the faucet is leaking around the handles, you should change the O-ring. If the faucet’s body is leaking, you should change the washer. Reassemble the handle – After replacing the O-ring or the washer, reassemble the handle. Do the same thing for the other handle, if necessary. Ceramic disk faucets are durable, and they work flawlessly for a long time before starting to leak. If they start leaking, however, you should know how to fix them. Take out the escutcheon cap – the escutcheon usually sits directly under the handle and it’s made out of metal. Clean the seals – take the seals out and clean them using white vinegar. If the hard water buildup is considerable, let the seals soak in vinegar for several hours and then inspect them. If you believe the seals are in a very bad shape, buy new ones. Reassemble the handle – put the seals back or replace them with new ones. Reassemble the faucet and turn the water on slowly at first. The ceramic disk needs to be soaked before you can turn the water on forcefully. Otherwise, it can crack. Remove the O-rings – The O-rings are hard to remove, and you will need to cut them with a thin knife. 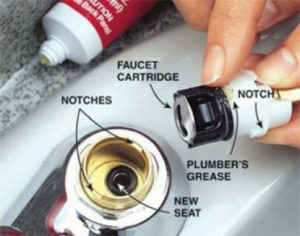 Coat the new O-rings in vaseline or plumber’s grease before you try to install them. Remove the cap and collar – using a wrench or pliers, remove the cap and collar. You should also loosen the cam at this point, using the special tool in the repair kit. Take out the seals and springs – you might need some thin pliers for this operation because you have to reach into the mechanism. Replace the O-rings – Remove the old O-rings by cutting them and coat the new ones in vaseline or plumbers grease before installing them. Replace all the old elements – your repair kit should also include new springs, cam washers, and valve seats. Use all of them to replace the old ones. Reassemble the handle – Once you reassemble the handle, the faucet should be as good as new. Also, check out touchless kitchen faucet reviews and commercial kitchen faucets here! Then why not check out our listing of top rated bathroom faucets! Nobody wants to have a leaky faucet in their kitchen, but these things happen sometimes. And if it happens to you, you should know how to fix leaky kitchen faucet. Fixing a faucet is usually not expensive, but it can be problematic, especially if you don’t have any previous experience with DIY projects. We’re certain that after reading our short step-by-step guide on how to fix faucets you are now able to determine where the leak comes from, and how to fix a faulty unit all by yourself. Keep in mind that most faucets come with a lifetime warranty, so contact the customer support service before you try fixing the faucet by yourself.